Kim Soo Karate is a traditional martial arts school for adults, children, and families. 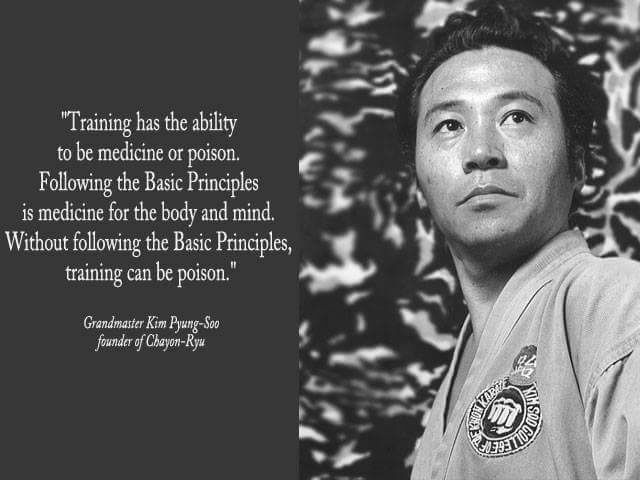 The style of martial arts practiced at Kim Soo Karate is called Chayon-Ryu ( Korean for "The Natural Way" ) and was developed over many years by Grandmaster Kim Soo. Chayon-Ryu is based on the natural movements found within each of its parent styles - Chinese Chu'an Fa, Japanese Karate, Korean Taekwondo, Okinawa-Te, Judo/ Jujitsu, and Hapkido/ Aikido. Chayon -Ryu teaches natural body motion as the basis of all techniques in order to promote power, safety, health, and fitness. Chayon-Ryu is more than just the physical practice of several martial arts. Within the practice, it incorporates an educational system of teaching: Morality, Purpose, Humility, Common Sense, Persistence, and Patience. We invite you to join us in a trial class - please CONTACT US for more information.